Now that I am finding the time to sit down and blog some this week, I should mention the nerdiest thing I did all year in 2016: Gamecation! Now what’s that? Right, it’s a vacation for the sole purpose of gaming our hearts out. And many games were played! As I mentioned before, I am GMing an online game of Pathfinder somewhat irregularly, which has its own blog: The Adventures of the Cactus-Slayers. I am playing this game with my wife, and three very dear friends, back from my MUSHing days. This means we go waaay back. One of the friends lives in England, the other couple lives in Scotland. While playing online is fun, thanks to Roll20 (despite technical issues), it’s just not the same as face-to-face gaming. Also, we all enjoy boardgames, and you can’t really play most of them well online. A plan was made: we would meet for 3-4 days of all-out crazy game fun times. 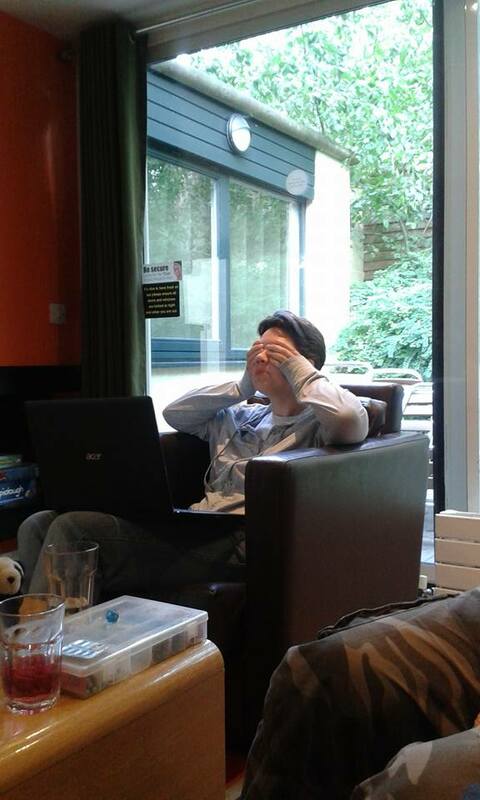 We chose a location in central England that we would congregate in, which means we rented a Center Parcs lodge for all of us. I can now say I have been to Sherwood Forest, just like Robin Hood. It was pretty woodsy. The lodge was pretty basic, but had three bedrooms, an open kitchen, a big table, and a couch to slouch around on. Plus a view of ducks and squirrels. Who doesn’t like that? Off to Nottingham we flew on the last Friday of September, to stay until Monday. My original plan had been to GM my Pathfinder game for a face-to-face session, and that one of the players would try to run We Be Goblins to check out the GM side of things. However, we played so many boardgames instead, and spent time cooking, hanging around and reading, and the girls went to the spa. This all meant we didn’t have time for the Pathfinder games. Eldritch Horror – a cooperative Cthulhu game set in the Arkham Horror universe. Instead of being limited to Arkham, you fight the mythos all over the world. Not my favorite game. Elder Sign remains my favorite Arkham Horror game. Exploding Kittens – Fast-paced card game that was fun and easy to play. Cthulhu Gloom – Probably my favorite game of the lot. A unique game that combines cards with storytelling. You basically play a family where each member needs to die as miserably as they can, while preventing the other players from doing the same. Sadly no German translation yet, or I would buy it in a heartbeat. To see it in action, check out the Gloom episode of Tabletop. Cards Against Humanity – gosh, the people I played with are filthy! Rightly described as the party game for horrible people. Always brings the laughs. Pandemic – I have blogged about Pandemic before and will do so again. Still the best coop game out there, if you ask me. Alhambra – A German Spiel des Jahres that is actually one of my favorite boardgames. It’s a tile placement game where you build the most beautiful Moorish themed palace while competing for those tiles with the other players. Really enjoy it. As mentioned above, Pathfinder didn’t happen, but my wife tried her hand at an impromptu GMing session of Numenera. She ran one of the GenCon demo adventures that I hadn’t read yet, Into the Violet Vale. I think it’s an adventure that really showcases the weird side of Numenera, as we were a group of explorers who ended up in a vale full of violet flowers that really messed with us. It was great fun. The pre-gen characters were a bit lame. One of the characters was a Graceful Nano Who Talks to Machines, but there aren’t really any machines in this adventure where you could use that. Regardless, I think we all had fun, and I am hoping that my wife will GM more often now. As I also want to talk about at a later point, I am kinda into one shots now. If you ever want to try running this particular adventure, there’s a great prep post at The Alexandrian. Seriously, how good are these things? Melt in the mouth cheesy goodness! I think I cooked a killer red Thai curry. We also ate tons of snacks, chocolate and there was drinking. Oh yes, much drinking. We ate the best cheesy puff ever. 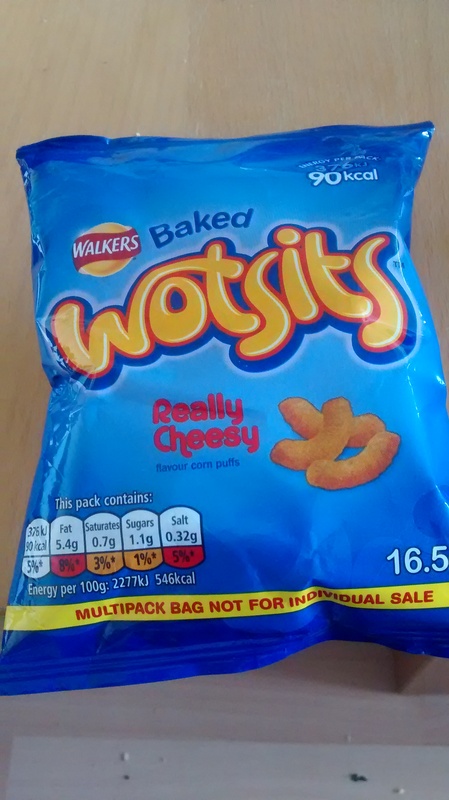 Screw Cheetos, Wotsits are where it’s at! As I read this, I was reminded how sad I am – as I realised that this would be my ideal getaway. There is a whole world of stuff out there to see, but I’d love to sit in a lodge with friends playing board games. Great post. And I’m just about to run Into the Violet Vale – so appreciate the link to The Alexandrite. Thanks.